Convenient 6 in. x 8 in. 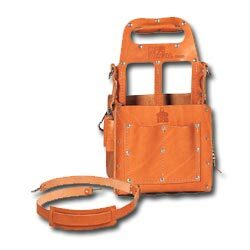 tool carrier with four center screwdriver slots, two interior compartments, two divided outside pockets and four outside tool loops.